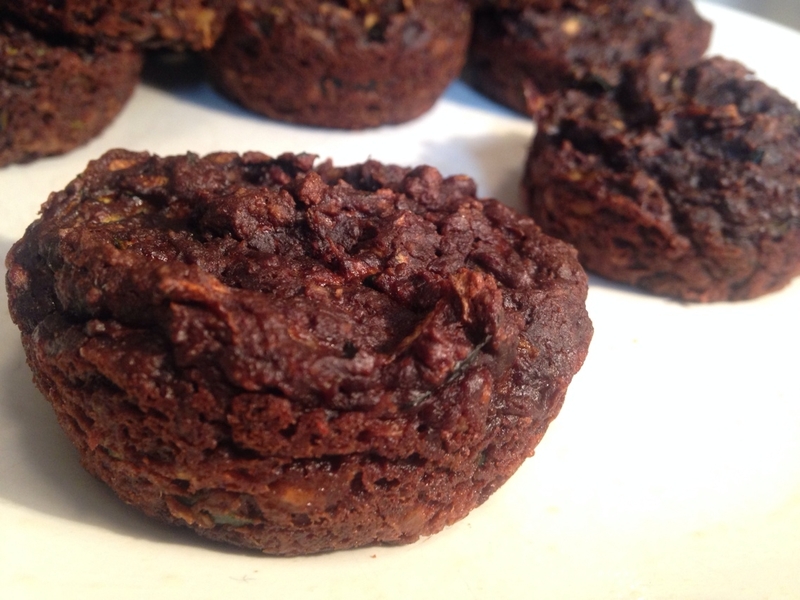 Bite-sized muffins, super low calorie and so delicious, you'll never know there's a veggie in them! Preheat oven to 350. Grease muffin tins (or use muffin liners). Mix dry ingredients in a large bowl. Mix egg, egg whites, stevia, and coconut oil WELL in a separate bowl. Add in zucchini. Add wet to dry. Fill muffin tins 2/3 full. Bake for 25 minutes, (give or take a few depending on your oven). Makes 12 muffins.